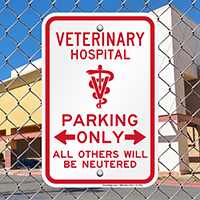 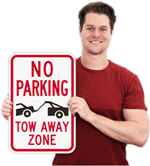 Install this humorous parking sign outside a veterinary hospital to reserve parking space for the staff. 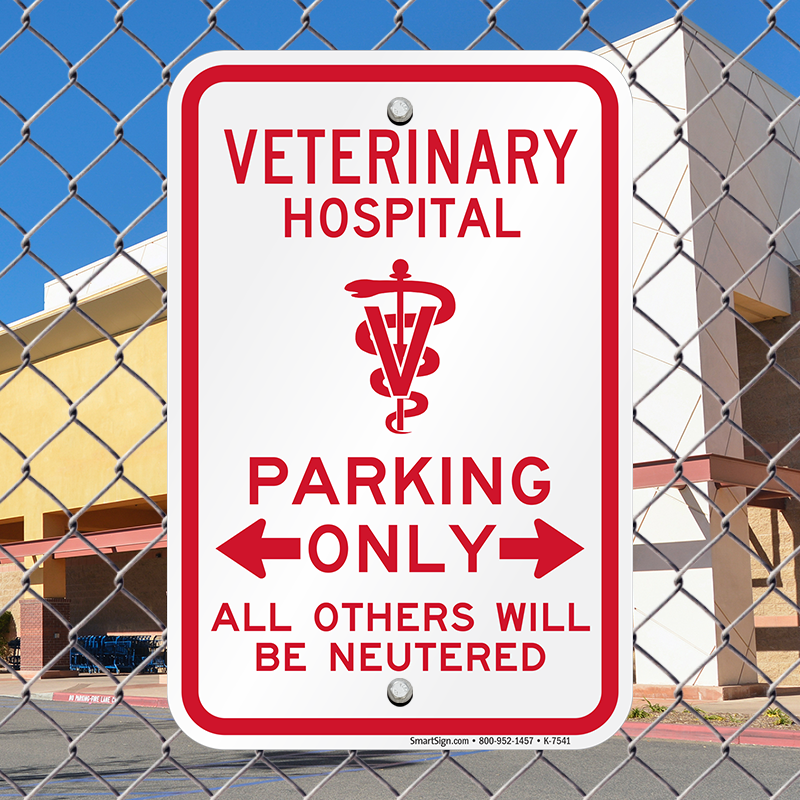 • The funny sign informs potential violators of the dire consequences! 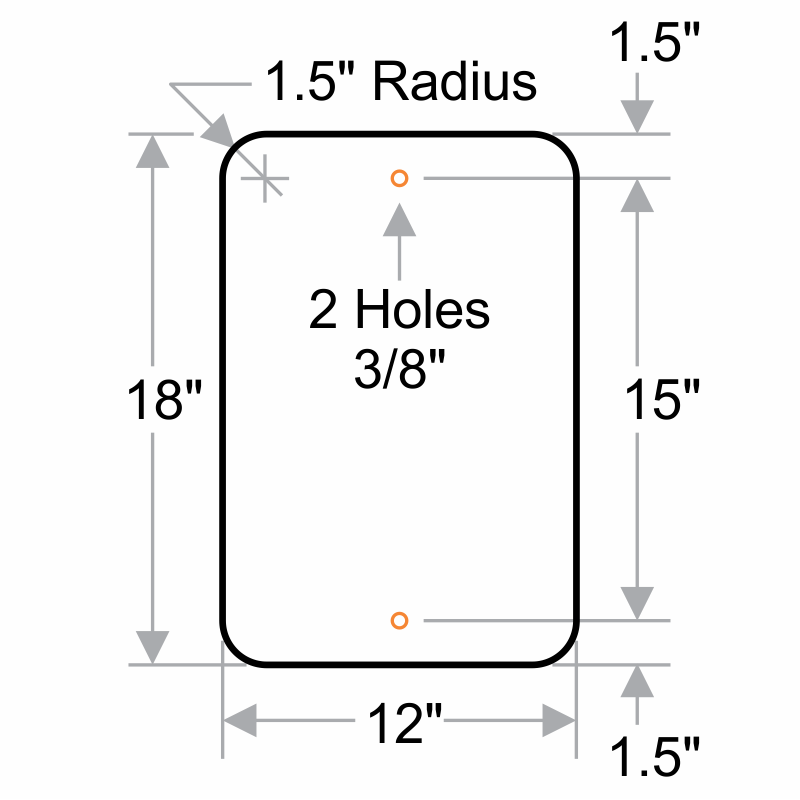 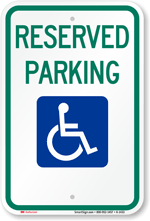 • Bidirectional arrow marks the reserved parking zone exactly.